Our rehabilitation program specializes in hoof-related lameness and addresses the medio-lateral balance and hoof biomechanics, which allow the horse to load weight evenly and move correctly. Horses arriving at Copperstone for hoof rehab often show navicular changes on x-ray and damage to the deep digital flexor tendon, collateral or impar ligaments on MRIs. Many have had chronic hoof problems in the past and have remained unsound for years while following traditional vet and farrier advice. Quite a few have been on the verge of euthanasia before making a full recovery at Copperstone. Horses with chronic laminitis, external hoof imbalances, thin soles, run-under heels, long toes and rotated coffin bones have shown significant improvement. Our rehabilitation program is excellent at transitioning shod horses to the barefoot lifestyle. Once the shoes are off, the hooves can begin the healing process. The conformable surfaces on the track provide horses with weak hooves the right amount of support to help with the transition. Horses are more than capable of growing a strong healthy hoof if given the right conditions. Healthy hooves have good medio-lateral balance and alleviate strain on tendons and ligaments, supporting the entire leg. It is a common misconception that certain breeds need horseshoes. 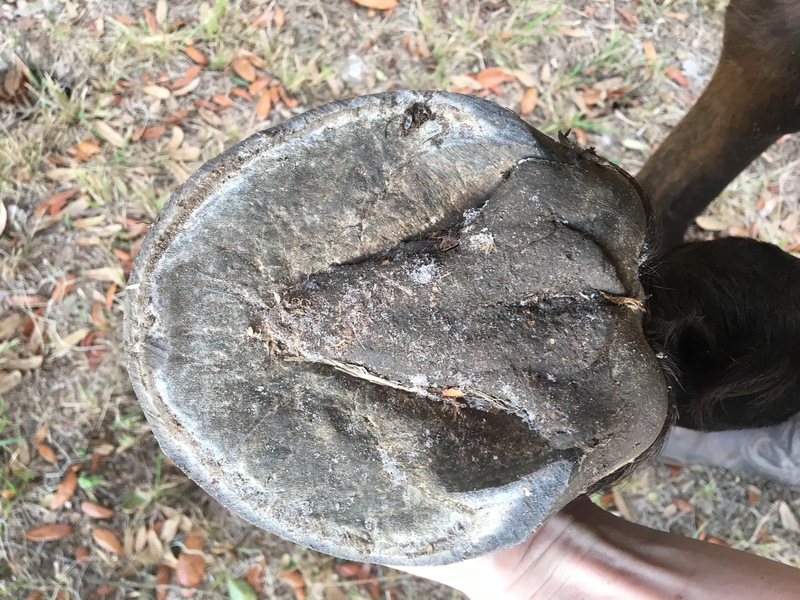 Horseshoes prevent the hoof from functioning normally, introduce pathogens through the nail holes, obstruct circulation through the hoof, unbalance the horse as the hooves attempt to grow, and cut off the horse’s ability to feel the very ground he is standing upon. Although the rehab program centers around the hooves, it is really about healing the whole horse. 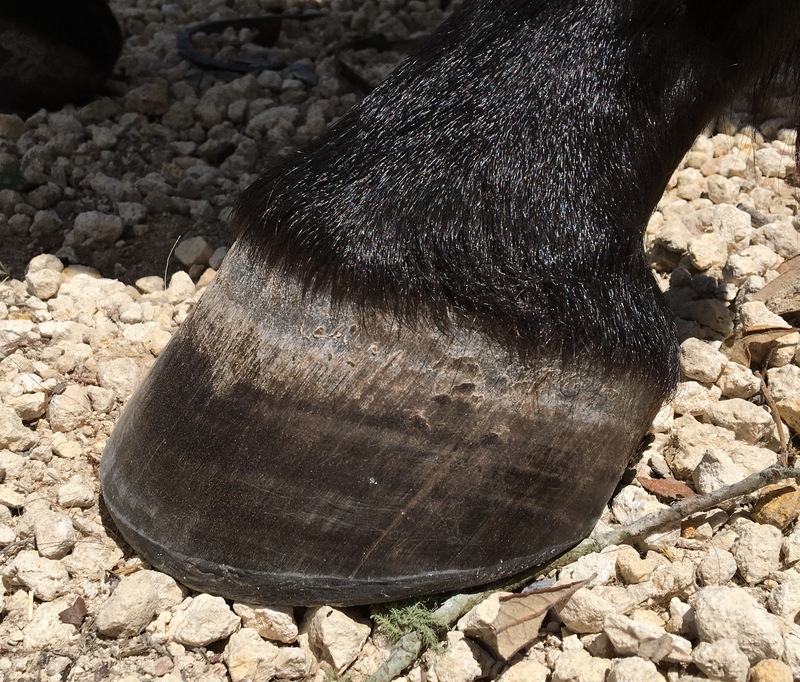 Diet, movement, and barefoot trimming are the three major components of hoof rehab. 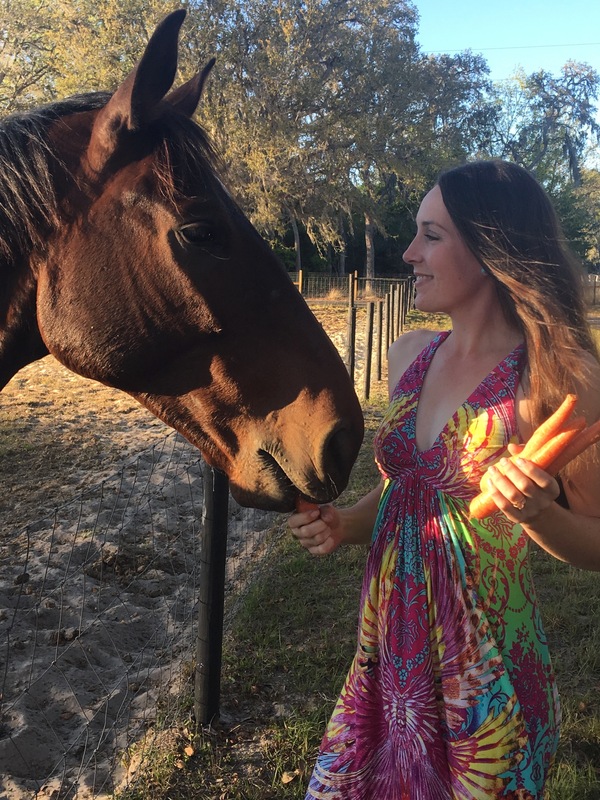 Rachel, the owner of Copperstone, has her Bachelor and Master of Food Science degrees (and is currently taking additional equine nutrition courses). The equine diet at Copperstone is essential for providing the correct nutrition for hoof growth and overall health. The horses at Copperstone have constant access to a variety of low-NSC organic grass hays and clean, filtered water. Non-metabolic horses also have access to organic pasture fertilized with compost. Rachel has created a custom minimally processed whole grain feed blend, which the horses receive twice daily. The feed is low-sugar, low-starch, and free from cheap fillers and manufacturing by-products that are common in most commercial horse feeds (soybean meal/hulls, wheat middlings, molasses, etc.). The whole grain feed blend includes added salt and a complete vitamin and mineral supplement that improves hoof and coat quality, exercise recovery, and general health. Additional natural supplementation is provided as needed to improve circulation, comfort, gastric and joint health. Any treats provided to the horses during training are low sugar, low starch, and high fiber – usually hay cubes or fresh fruits and vegetables. The equine diet at Copperstone is free from laminitis triggers and suitable for all equines, including horses with Cushing’s, insulin resistance (IR), and Hyperkalemic Periodic Paralysis (HYPP). Movement through the natural gaits is essential to establishing sound, healthy hooves. Horses at Copperstone spend a majority of their time on a paddock track system with conformable surfaces that provide the conditioning and strengthening necessary for proper hoof development. Horses can grow a new hoof capsule in as few as 5-6 months with the nutrition and conditioning provided here at Copperstone (as opposed to the traditional 9-12 month growth cycle). The tracks at Copperstone are designed to improve hoof health and biomechanics, leading to a sounder, more capable horse. The paddock track stimulates new growth in the hoof capsule while helping to wear away excess hoof growth. The track surfaces provide hooves with the right amount of support to improve hoof health and are comfortable for horses with weak and sensitive hooves. Horses receive a barefoot hoof trim approximately every four weeks, or as needed, to remove excess hoof growth and document progress. The horses have companions on the paddock track and are free to move and socialize 24/7 as they are not stalled or isolated. They have access to shelter and are able to come and go as they please. 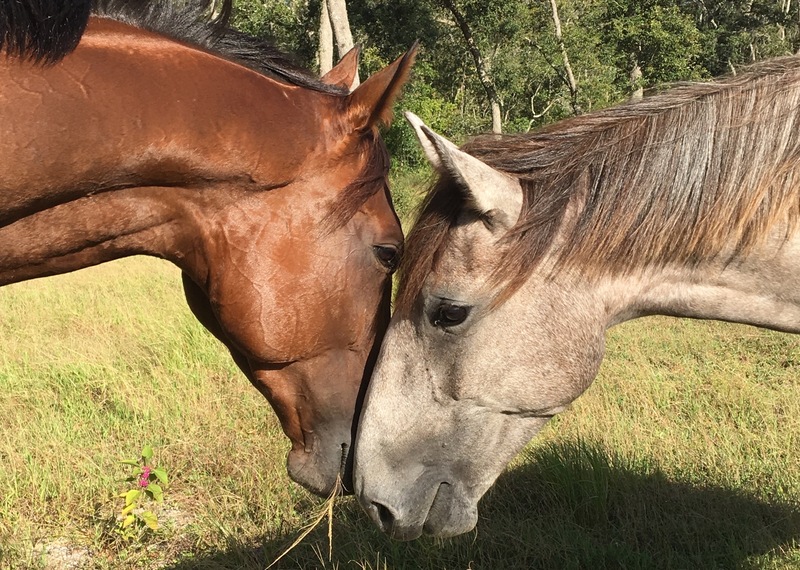 The horses live a natural and stress-free lifestyle while here at Copperstone. Over the course of rehabilitation, the horse’s workload is slowly increased. We begin with groundwork and gentle work in hand, progressing to riding when the horse is able. We aim to strengthen the Longissimus dorsi and the Supraspinous ligament, which support the vertebra above which the rider sits before riding work begins. The horses are exercised up to five times a week with the workload depending on the horse’s stage of rehab. Exercise ranges from groundwork and lunging to ridden work. 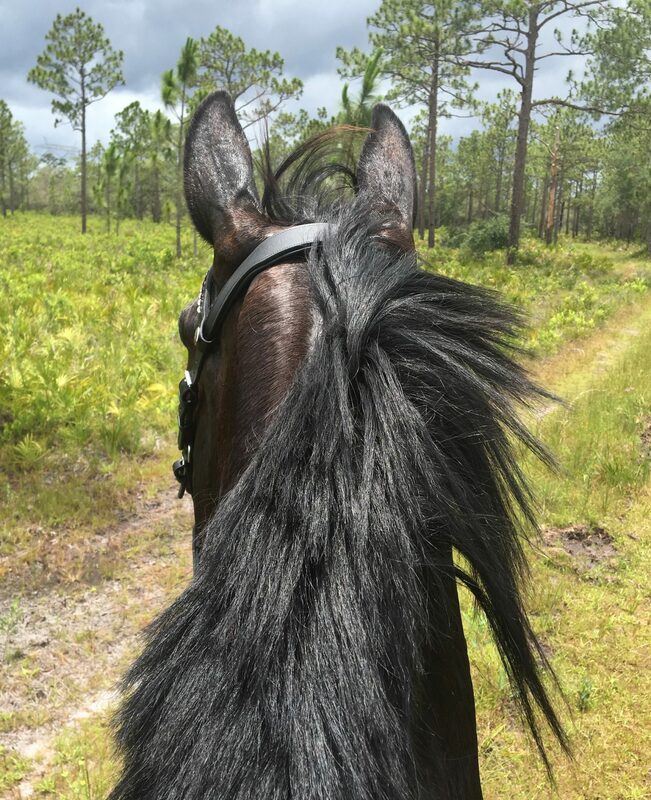 We have experience in dressage, hunter/jumper, trail riding, driving and more. Owners receive frequent updates throughout rehabilitation, along with pictures and videos to document progress. Owners are encouraged to schedule visits anytime during rehabilitation. We take a small number of rehab horses at a time to ensure each horse receives the highest level of care. Please contact us for availability.